Color: red ruby with light tints garnet. Scent: ethereal, of fruit, spices, with a nuance of tobacco and vanilla. Area of production: Countryside Guardiola, on the northen side of Etna, commune of Castiglione di Sicilia (Ct). 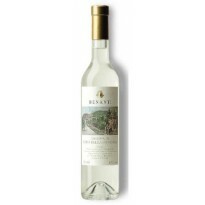 Grape Variety: Nerello Mascalese 100% (Negrello) grown as alberello (free standing bush). It is the most noble indigenous Etnean variety. 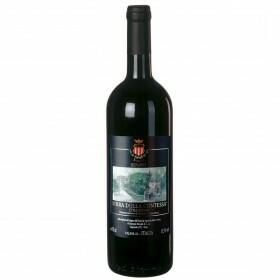 It was selected by the vine growers of Etna, many century ago, at Mascali (CT), a town situated on the slopes of Etna. This vine is constituted as an Etna red D.O.C. at not less than 80%. It is present in all the Etnean region at an altitude which ranges from 350 metres asl to 1,050 meters asl. Depending on the location of the vineyards, on the versant of the volcano and its method of cu cultivation, the nuances and characteristics of these wines are significantly different from each other. As for all the indigenous Etnean varieties, the grapes are of late ripening (2nd decade of October). The vines are cultivated like alberello (free standing bush) and vinified like important red aged wines with predominating scents of red fruit, flowers and spices together with a typical, pleasant taste of tannin. Density of implantation: about 9,000 vinestocks per hectare. Age of vineyards: 60 years. Vinification: the grapes, harvested after mid October, are vinified in red with long maceration with the skins. 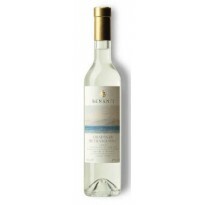 Maturation: after malolactic fermentation, the wine is transferred into small casks (225 liters) where it is left to mature for more than one year. - Color: red ruby with light tints garnet. - Scent: ethereal, of fruit, spices, with a nuance of tobacco and vanilla. - Taste: dry, full, tannic, balanced, persistent with flavor of licorice. Alcoholic content: 13-14% by VOL. Gastronomic accompaniment: optimal with red meat, wild fowl and mature cheese.